Boerne Air Conditioning Experts is your leading local source for heater repair in Fair Oaks Ranch, TX and the surrounding communities. Our team understands that no matter how well you care for your furnace, it's not going to last forever. Components inevitably break down and all furnaces gradually lose their efficiency over time. If you wait too long, you'll find yourself spending more money on repairs and high heating bills than you would financing new, energy-efficient equipment. So if you're seeing signs that your furnace is keeping you warm for the last time this season, it's time to start planning so you can make a smart, well-informed upgrade decision on a timeline of your choosing. There are a few key indicators that it may be about time to replace, or repair, your heater. One of the main factors is age. A good replacement interval for most furnaces is about 15 to 20 years. Some will continue to function into a third decade, but the cost of operation may make proactive replacement a sound decision. If you're unsure of the age of your furnace, find the label on your furnace that contains the model and serial numbers. 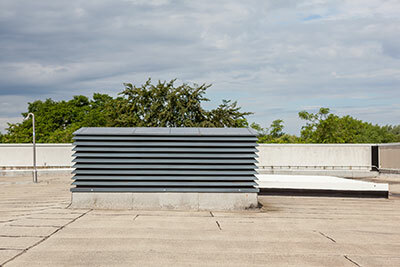 Additionally, you should also keep an eye out if you notice your unit producing less heat. This is often the most obvious and troubling sign— when your furnace just doesn't pump out the warm air like it used to, the only way to get that warmth back may be to upgrade. Another sign that your heater may need to be replaced is if you notice higher energy bills. If possible, compare your home heating costs from this season with your bills from the last few years. If you're seeing a steady increase, that may be consistent with the loss of efficiency that occurs during the last few years of a furnace's lifespan. Since you have time to plan for replacement, make a point of doing some comparison-shopping for furnace models now. Read customer reviews, check for special features and compare efficiency specs to help formulate a list of a few models you like most. If you're serious about energy efficiency, a great place to begin your search is on the ENERGY STAR website. ENERGY STAR-certified furnaces not only cost less to operate, they're better for the environment, too. At Boerne Air Conditioning Experts, we’ve learned that the upfront cost of replacing a furnace is often the reason why homeowners put it off for as long as they can. But there's more to the overall cost of replacement than just the price tag on the furnace and installation. In addition to the savings on operating costs, new furnaces typically come with warranties that will cover the cost of certain repairs or even maintenance during the first few years. New furnaces also require less service overall than older ones, so you can save by making fewer calls to one of our HVAC technicians. By giving yourself time to plan for your replacement, it means you can wait for furnace sales or special rebates that will drop the total price even further. Make it part of your routine to check up on prices once a week so that you'll be ready to pounce when a good deal comes along. 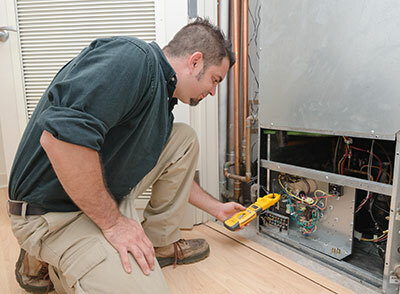 Of course, buying a new furnace is a process that requires the help of a trained professional who can advise on heating capacity, fuel types and other key purchase considerations. Whenever you're ready to get the process started with a no-obligation consultation, reach out to one of our team members at Boerne Air Conditioning Experts.